The word “aardvark” means earth-pig in a native African language, and these animals do look a little bit like pigs. They have long snouts and rounded bodies. But, they also have ears like a rabbit and a tail like a kangaroo. 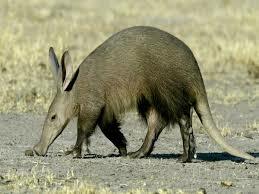 Aardvarks do look a little bit like pigs. They have long snouts and rounded bodies. But, they also have ears like a rabbit and a tail like a kangaroo. These mixed-up creatures live in central and southern Africa. To escape the heat, they spend their days lounging underground in cool, dark burrows. 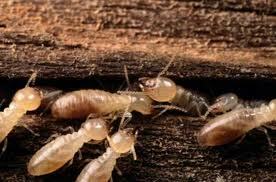 At night, they come out to dine on their favorite food—termites. Aardvarks use their sharp claws and shovel-like paws to dig through termite hills. Then, their long, skinny tongues lap up millions of termites. Yum! All About Aardvarks: At night, they come out to dine on their favorite food—termites. Aardvarks can close their nostrils to keep out dirt and bugs while they dig. Their thick skin protects them from termite and ant bites. Aardvarks are powerful diggers. They can build a big burrow in 5 to 20 minutes. Other animals like to live in old aardvark burrows. 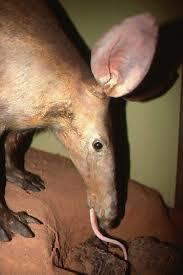 Aardvarks have sticky tongues, which help them catch bugs. Their long, skinny tongues lap up millions of termites. Aardvarks have excellent hearing and their long ears allow them to hear tiny sounds, such as termites under the ground. A short video about a baby aardvark playing around the park. Question: Why are an aardvark’s ears so long? Answer: Aardvarks have excellent hearing and their long ears allow them to hear tiny sounds, such as termites under the ground. 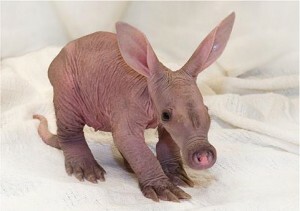 Question: How do aardvarks take care of their babies? Answer: Aardvarks usually have only one baby at a time. The baby is born in a den and mama takes care of it for up to one year. Enjoyed the Natural Science for Kids website all about Aardvarks info? Take the FREE & fun all about Aardvarks quiz and download FREE Aardvarks worksheet for kids. For lengthy info click here. Declan, Tobin. " Fun Aardvark Facts for Kids ." Easy Science for Kids, Apr 2019. Web. 26 Apr 2019. < https://easyscienceforkids.com/all-about-aardvarks/ >.